I know. I know! 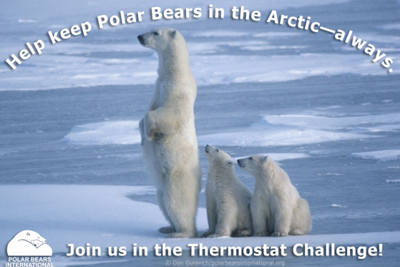 It’s a very yuck winter to be thinking about turning down the trusty thermostat, but will you do it in honor of International Polar Bear Day? 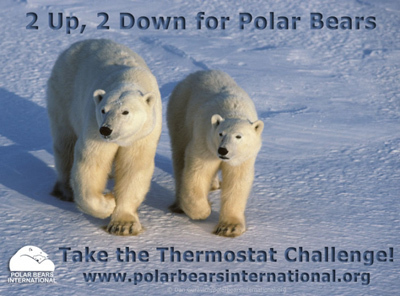 #PolarBearDay is February 27, and Polar Bears International is challenging you to take a not very icy plunge to lower carbon emissions. All you have to do is lower your thermostat a couple degrees. If you live in a hot climate, adjust your thermostat so that the room temp is just a bit warmer, and if you live in a chilly climate, adjust your thermostat so that the room is a bit colder. Are you observing International Polar Bear Day?